“Why did this happen to us?” That was the question posed to me by one of my ten-year-olds as we sat in the tiny room in the ER. The details of that morning are pretty fuzzy so I don’t know if was Ella or Hailey, though they both were seeking an answer. We were waiting for Hailey’s oxygen levels to be back to normal so they could release us. 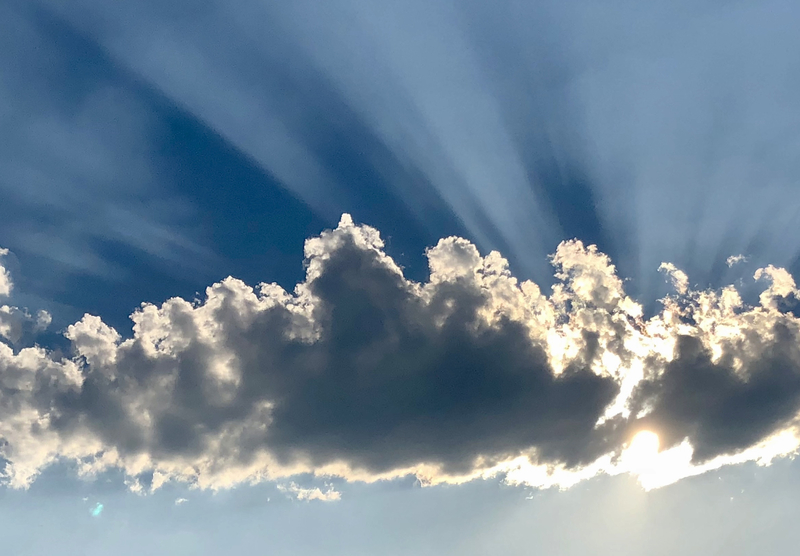 My response, in my desperate attempt to make some sense for all of us, went something like this… “I honestly don’t know, but I do know there will be answers in the form of silver linings along the way. We will witness positive things that may have never happened without the chaos and despair we are feeling right now.” That’s what I was taught. Those are the words my mother would have said to me and I clung to them tight that day and still hold them close in my grasp. Our house burned down at about 3:30am on December 27th. Just about three and a half weeks ago although at times it still feels like it’s only been a few days. We’ll never know for sure how it started and that’s okay with me. We know it began outside, somewhere below the front deck, and it probably had to do with Christmas lights. The blaze was huge by the time it broke the front windows and set off smoke alarms inside. By the time the firefighters arrived, their main focus was on saving the neighboring houses, which thank God they did. Ours was a total loss. There were seven people in the house and we escaped into the alley with the pajama’s on our backs and nothing else. It’s a miracle we all got out because once we opened the back door, it created a backdraft and there was no going back in after anyone. My husband, Bob, our daughters, Ella and Hailey, our nieces, Abby and Nicole, my sister, Suzanne, and I are very grateful to have survived. We had amazing neighbors who we’d never met take us in their home. They took care of us like we were family. That was the first silver lining. Tragically, our two dogs, Scooter and Scout, were unable to make it out. Scout, our huge 10-month-old white lab, went directly down to the kitchen where his food was kept and was too confused to respond to our calls. Scooter, our six-year-old yellow lab, who initially went outside with us, went back in after his brother. We found out, days later, that though they couldn’t make it out the back door, he must have led Scout back up the stairs to the master bathroom and they went to sleep there together from smoke inhalation. That’s where the guys that did the damage restoration work found them and they assured us they were not badly burned as we had imagined. They also consulted with Bob and buried them for us in the front part of our property. When I drove my dear friend by last week to see the cleared lot, I was beyond touched to see two wooden crosses those sweet men had placed there. They didn’t have to do any of that. The humanity and grace they showed us are one of the biggest silver linings I’ve seen. And Scooter didn’t have to go back in after Scout, but it’s clear to our hearts that those two souls belong together. The previous paragraphs cover the things that really matter, the family members. The rest, as my mom always said, was just stuff. Even eighteen years after her passing she is still helping me in the most significant ways. Most of the “stuff” I will miss the most were things that belonged to her. Her china hutch, her china dishes, her silver set, her little porcelain Brittany spaniel dog figurine, her jewelry, and countless other items. Knowing how she felt on the subject makes it easier to let go. Also, just days before the fire, I wore a pair of her earrings on Christmas Eve and another pair on Christmas Day, something I almost never did because she wore super uncomfortable clip-ons. I felt called to them though and I also took the eighteen-year-old empty bottle of Paris perfume that still smelled like her off the shelf in my bathroom and gave it a good, long inhale on Christmas Day. I didn’t do those things on accident. And it’s no accident that among the very few things recovered (we’re talking a small ziplock bag of mostly burned jewelry and a couple photo albums that had salvageable pictures) were her wedding ring, her gold crosses, and her Madonna and Child pendant. It turned out I was right. Our family has experienced countless silver linings in the last twenty-three days. The kindness and generosity shown to us by family, friends, and our wonderful community has been unbelievable. It has been the biggest blessing and also has been, for me, a not so easy, but important, lesson in receiving. I think, for most of us, it’s way more comfortable to be on the giving end. It’s very humbling to allow others to show up on your behalf and to admit you have a need for the comfort they offer. I can only hope my family and I are conveying how deeply grateful we are along the way. I truly believe our purpose in life is to be present for each other, learn from one another, help one another, laugh and cry with one another, and lift each other’s spirits. I’m so happy to know there are so many others who, clearly, have the same belief. Though there is much lingering sadness, gratitude remains my deepest emotion and intention. Thank you for taking the time to read this post. I’m not sure when I’ll get back to business as usual. I’m slowly stocking my kitchen in our rental house and I haven’t replaced my camera yet. Thanks to great insurance those things will all be back in time. I wish for you a happy, healthy, 2018. Try to allow the people in your life to show up for you. Once you get past your ego, it can feel really great. And, if you’re really lucky, they’ll allow you to do the same for them. This is my extended family the day after the fire. It was Bob’s birthday so we went out to breakfast before most of them headed back to Eugene. We are blessed.